1-800-DRYCARPET Dry Carpet Cleaning Service. 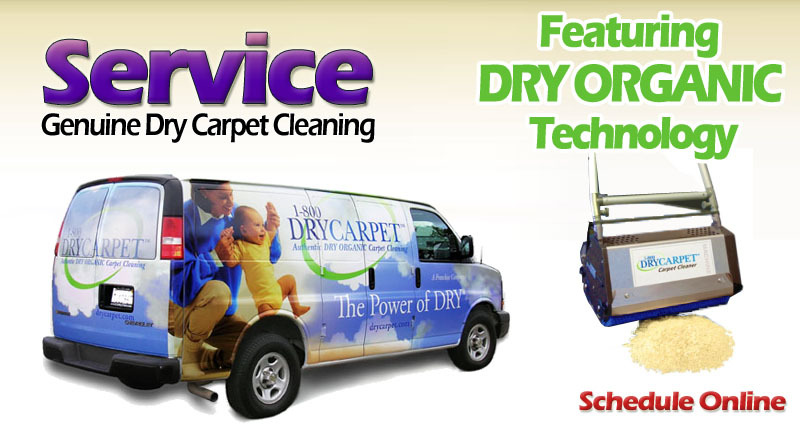 Dry Organic Carpet Cleaning. 1-800 DRYCARPET®: Organic before it was "a thing". 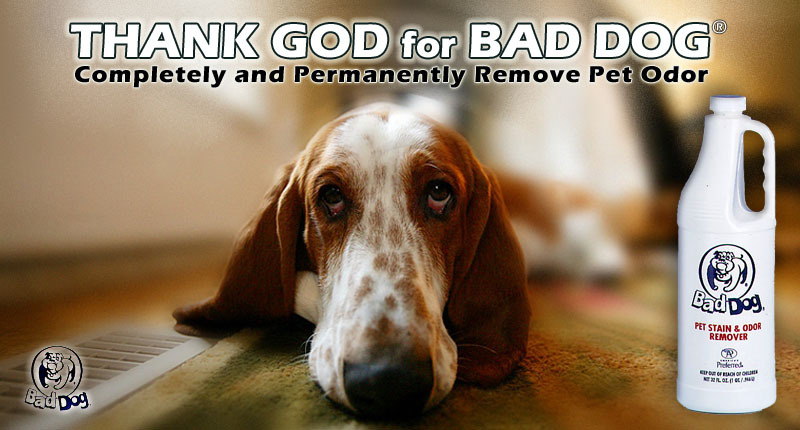 Originally, we wanted to kill the phenomena of "returning spots", rapid resoiling and wet musty odor. DRY ORGANIC™: We are one of four in the world that manufactures and uses a dry, absobrbent, physical-granular-product to clean carpet. Whopping 92% Customer Loyalty: Use your property immediately after service. Really! Our dry carpet cleaning service cleans deeper and more thoroughly than any other carpet cleaning product on earth. 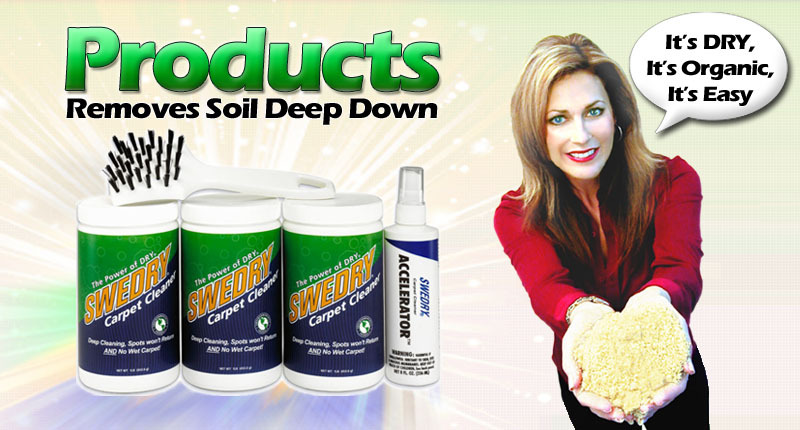 We're known for bringing our customers immediate dry, healthy, long lasting results. 1-800 DRYCARPET: Call 1-800-379-2277, enter your 5-digit property zip code and be connected to an owner operator today. Or, Schedule Online. 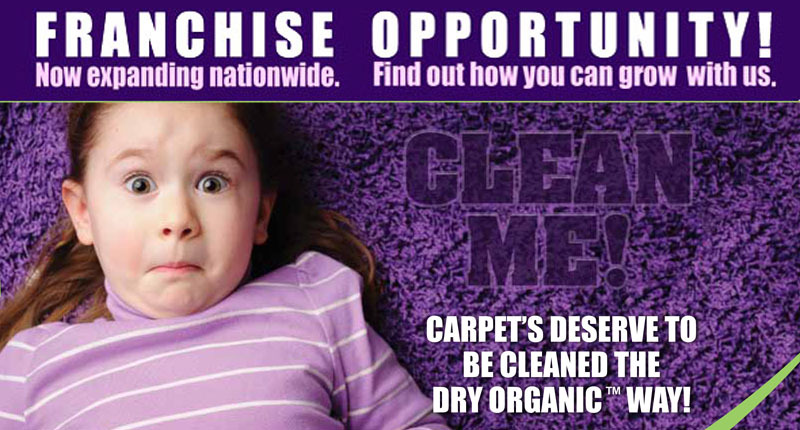 Guaranteed 'No Mold, Just Flat-Out Healthier Cleaning': We do not use a liquid based carpet cleaning method. Our dry carpet cleaning system does require flushing boiling hot, soapy, yucky water through carpet fiber. Your property's subfloring and/or padding will not and cannot get wet or damp. Recommended or required for all commercial glue-down carpet. Carpet stays clean longer! DOC™ SYSTEM: (Dry, Organic, Clean™). A qualified Doctor of Science developed our 'DOC SYSTEM™'. The Doctor is listed as a Senior Fellow with The New York Academy of Sciences and The American Institute of Chemists. YOU... ARE A PIONEER USING DRY ORGANIC™: Everything we do, you do. Your business lets us do business in a way that's better for the planet. Like leading the way in green cleaning technology as the first DRY ORGANIC Carpet Cleaning franchise system in the good ol' USA. It's what we can do, because of what you do. Good for you, you. Copyright © 2016 1-800 DRYCARPET® Systems, Inc. All Rights Reserved.